blacking them would have made it all a bit too dark for my liking. 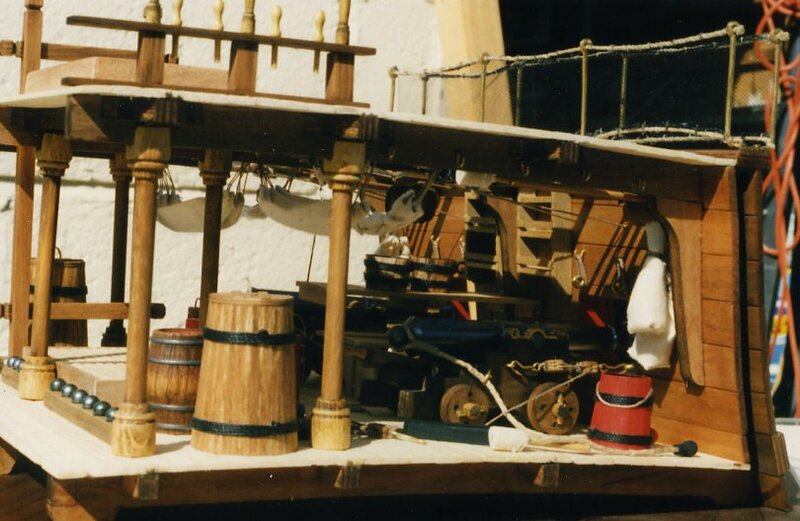 The sponge bucket and wadding barrels were planked up affairs. The water and powder barrels were turned wood items. stained them and painted the bands with good ole polished steel again.